Bingo Lingo is a fun game of chance harnessing the nation’s love for Bingo. Played on oversized bingo cards it’s a chance for everyone to get involved. 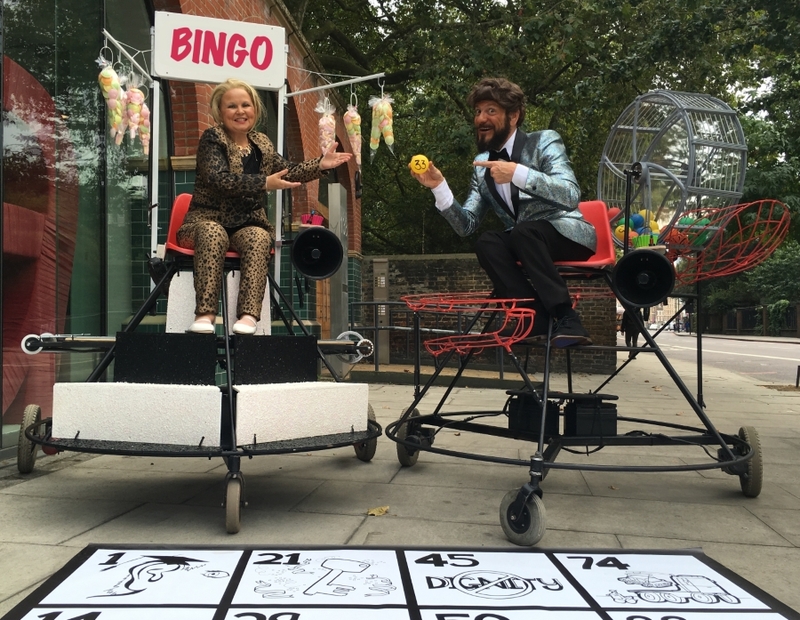 Beryl and Cyril are your comperes for the game and they love the joy Bingo brings to many. It’s this enjoyment that they want to share with you in the hope to make Bingo an official Paralympic sport. Wild N Beets is the creation of Daryl Beeton and Nicola Miles-Wildin who have worked together on various projects since 2007 exploring ways to make outdoor work accessible and inclusive. 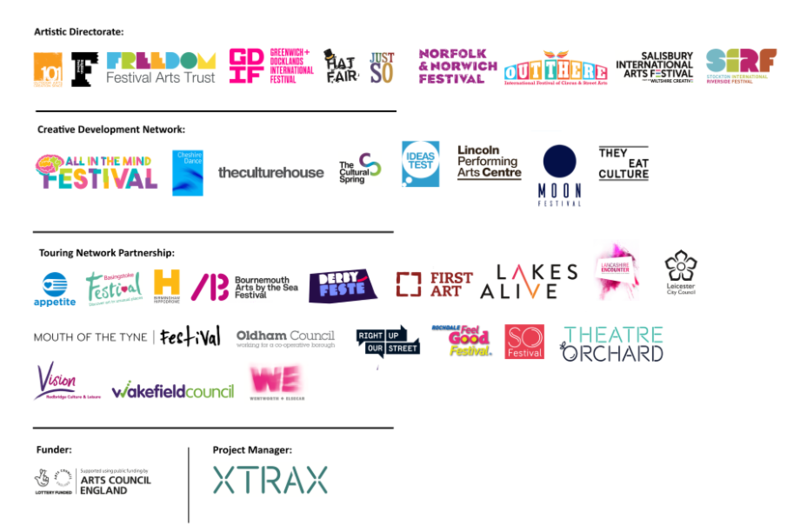 Through their collaborations at Graeae, Paralympic opening ceremony and Kazzum they have created outdoor shows together for many years, and Bingo Lingo will allow them to showcase their new and emerging company Wild N Beets and lay the foundations for future work. Commissioned by Without Walls, Greenwich+Docklands International Festival and Stockton International Riverside Festival.